Made from stainless steel for best rust protection. The tension can be adjusted by rotating the frame, to increase or retard tension. Used in many applications: Marine, outdoor, wire riggings, catenary wire, rope tensioners, and so on. Notes:1. Due to the light and screen setting difference, the items color may be slightly different from the pictures.2. Please allow 1-3mm difference due for different manual measurement. The tension can be adjusted by rotating the frame, to increase or decrease tension. 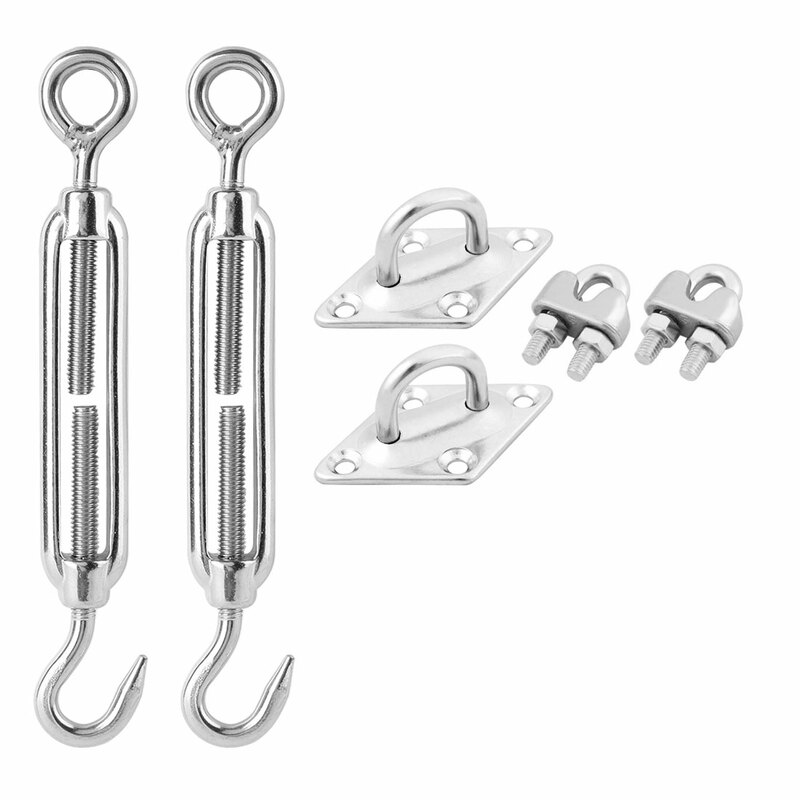 A turnbuckle is a device for adjusting the tension or length of tensioning systems.